Life's moments are a lot like magic ~ here one minute and gone the next. 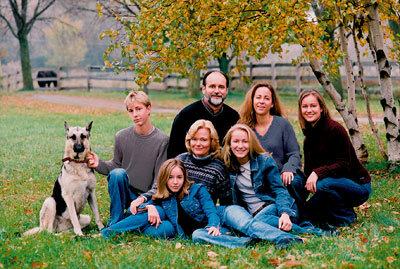 Capture the memories and the magic of family with the enduring beauty of a portrait. One of life's greatest pleasures is seeing your family together. Chances are your family will be gathering sometime soon. There's no better time to create a family portrait that will capture the spirit of family for you to enjoy all year round. Take this opportunity to capture this time in your family's history and give your family a gift that will turn those special moments into memories they can hold on to forever. With creative attention to detail, we can provide your family with a quality portrait that will bring years of enjoyment. Let us preserve tomorrow's memories - today.